Contemporary literatur meets its heritage. The old palais experienced a subtil redesign of the presentation room. Glowing edges add some weightlessness into this baroque decor. Eine Bar aus Beton für die neue club-und artspace location im grünen Prater von Wien. Der Betonklotz inmitten der illustrierten Toiletten, Graffitis und bunten LEDs wirkt als wäre er schon immer da gewesen. Das Gewicht von 1 Tonne sorgt dafür, dass es auch noch länger so bleibt. Die Oberfläche zollt dem alten Terrazzo Tribut, darüber hängen klimapolitisch provokant aber besonders augenfreundliche Glühbirnen, die damals 2009 ein Revival einläuteten. Eingerahmt von einer, nur analog beschriftbaren, schwarzen Tafel. Lichterloh läßt die Bar in der passenden Event-Farbe erstrahlen. Webster University’s new central location glows in the dark. 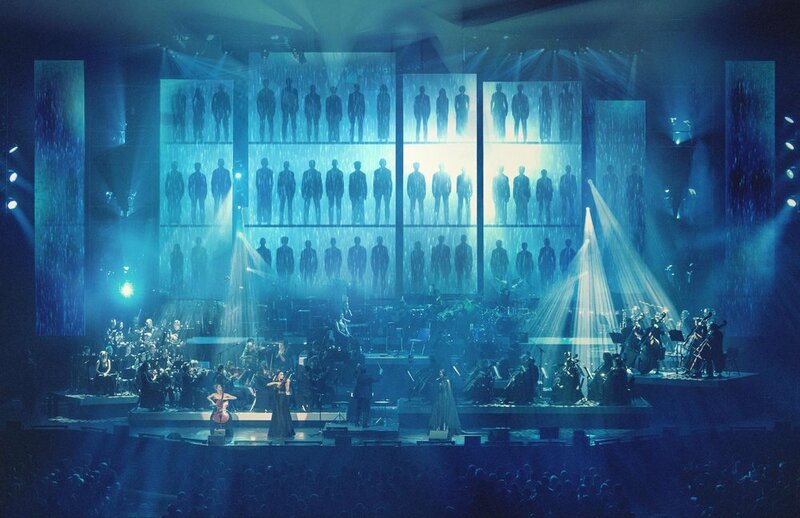 7 seperate LED towers provide an unusual visual approach to the world of famed composer Hans Zimmer. The stage was extendable and revealed a hidden choir. 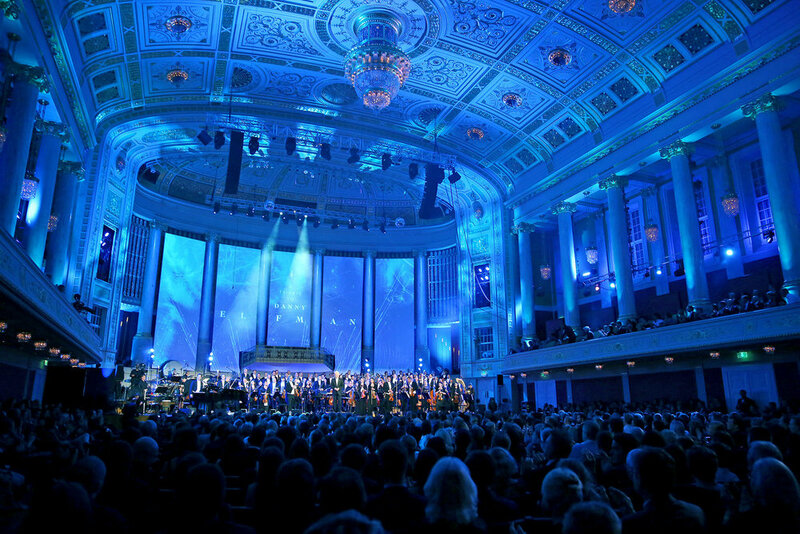 Stage Design for Hollywood in Vienna in Wiener Konzerthaus. 5 huge LED screens between the historic columns reveal a window to other worlds. Big light bulps on stage add a nostalgic and romantic flair. 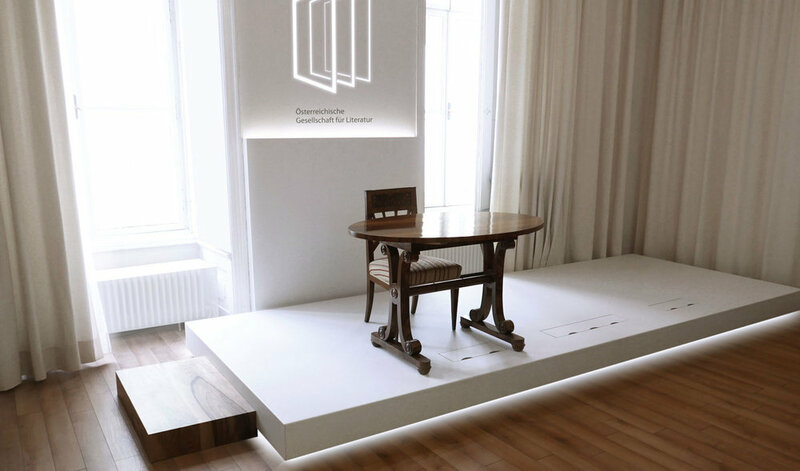 The exhibition rooms in the house, where Franz Kafka died in 1924 received a major makeover. All walls were redesigned and partially exposed to its bare bricks. The exhibition features various large scale photographs, replicas, a library, seating capacity for events and plenty of quotes. The notepads that Kafka used to communicate due his inability to speak were collected in a chandelier. construction: JOHANNES KAFKA, JÖRG KOLLEGGER, MANFRED MÜLLER, ETC.